"It's hard to imagine another artist on the folk scene who combines the same concise, deceptively understated, lyrical insight and sometimes devastating wit with such world-class instrumental prowess"
SAMI is proud to present nationally known folksinger, Joel Mabus, in concert on Tuesday, November 15, 2011 from 7-8pm. The concert will be held in the Fiddler’s Room (lower level) of the Tippecanoe Arts Federation, 638 North Street, Lafayette, IN and tickets are $10 per person (children 12 and under free), available at the door. After the concert Joel will offer a songwriting workshop from 8:30-10pm; cost of the workshop is $15 per person, or $20 for both the concert and the workshop (free to SAMI members who have paid 2011 dues). A mainstay on the folk circuit these past 30 years, Joel has 18 albums to his credit; the latest are Retold (2008) - new recordings of his early hits and The Joel Mabus Omnibus (2008) - a reissue of two early albums. He has performed in concert with such folk music stars as John Prine, Joan Baez and Tom Paxton, and has been featured at the top folk clubs and festivals, such as the Philadelphia Folk Festival and Vancouver Folk Festival. SAMI will sponsor a concert by nationally known folksinger/musician Joel Mabus. Concert will be in the Indiana Fiddler’s Gathering Room at the Tippecanoe Arts Federation: $10 per person, kids 12 and under are free. SAMI will sponsor a songwriting workshop by nationally known folksinger/musician Joel Mabus. The workshop costs $15 (attendance at both the concert & the workshop is only $20). Topics include Joel’s approach to writing, creativity and other aspects of songwriting. N.B. Both the concert & workshop are free for SAMI members who have paid their 2011 dues. Joel Mabus may be called a singer-songwriter, but he doesn't sound like one. He's the son of a 1930's old time fiddle champ and a banjo-pickin' farm girl. His performing career began in college during the Vietnam era, where he studied anthropology and literature by day and played coffeehouses by night. One critic writes, "Joel Mabus knows his way around the English language and American culture just as well as he knows his way around a fretboard.” Born in 1953 in the southern Illinois town of Belleville, Joel has recorded 20 solo albums of original and traditional music since his recording career started in 1978. For three years running, Mabus has been in the top 10 most played artists in the Folk Radio Charts for North America (folkradio.org) [The only other top 10 artists who share that 3-year distinction are Pete Seeger and Bob Dylan.] 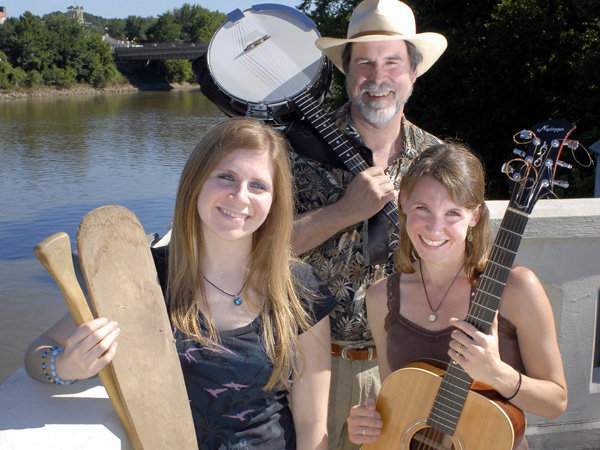 Joel's latest CD is 2011's American Anonymous, an album of traditional American folk songs. which has been garnering high praise from the critics. A one-off in the folk world, Mabus defies any easy pigeon-hole. His palette ranges from mountain banjo to jazz guitar -- from sensitive introspection to wicked satire. He's both picker & poet, and from coast to coast over the past 40 years this Midwesterner has brought audiences to their feet, wanting more. Winners for Songwriting Scholarship Chosen!!! The first place scholarship winner receives a $500.00 cash prize. There are additional perks for our top promising songwriters including cash awards, constructive feedback on their songs and opportunities to perform. The winners will be playing their songs and accepting their awards on Tuesday May 10th, 7:00 pm at the TAF building, 638 North Street in downtown Lafayette. The event is free and SAMI would like to invite everyone to come and help us celebrate these amazing songwriters! Stay Tuned for the Results from the Judging Committee! The deadline has passed for submitting applications to the 2011 Shirley Martin Scholarship for Young Songwriters. Stay tuned for the announcement of the winners! Results due to be posted on or about May 1st. What- Currently accepting applications for the 2011 Shirley Martin Scholarship for Young Songwriters, which includes the special Mike Lane Horizon Award. This scholarship and award exists for the purpose of developing, recognizing and supporting area youth in the advancement of their songwriting skills. When- Applications being accepted until April 8, 2011. Distribution: Winners will be notified on or before May 2, 2011. SAMI hosted a concert and workshop with the multi-talented Tim Grimm on January 18th at the TAF building. Starting at 7:00 pm, Tim performed a totally unplugged acoustic set featuring many of his original songs from his latest release, "Farm Songs" (2010). Following the concert, many stayed for the songwriting workshop led by Tim. Speaking as one who attended both the concert and workshop, SAMI did well by bringing this caliber of a singer/songwriter/performer to Lafayette. For anyone who might have missed this concert, check out Tim's website for more information on his music and tour information. Check back periodically to samisong.com for news concerning future workshops and concerts brought to you by SAMI.